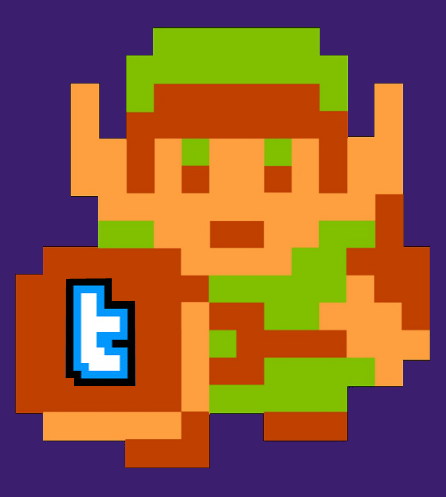 We are blessed once again to have the Joy Pad Dudes bring us another Cool Super Warehouse Party this month! 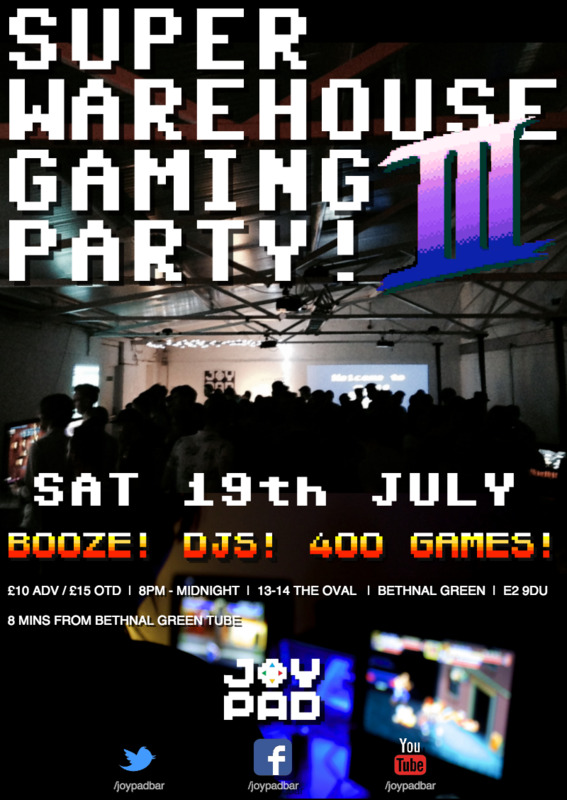 The Super Warehouse Gaming Party III is COMING……..
"THE SUPER WAREHOUSE GAMING PARTY" marks their next step on the way to the eventual opening of London's very first dedicated retro/indie gaming bar. 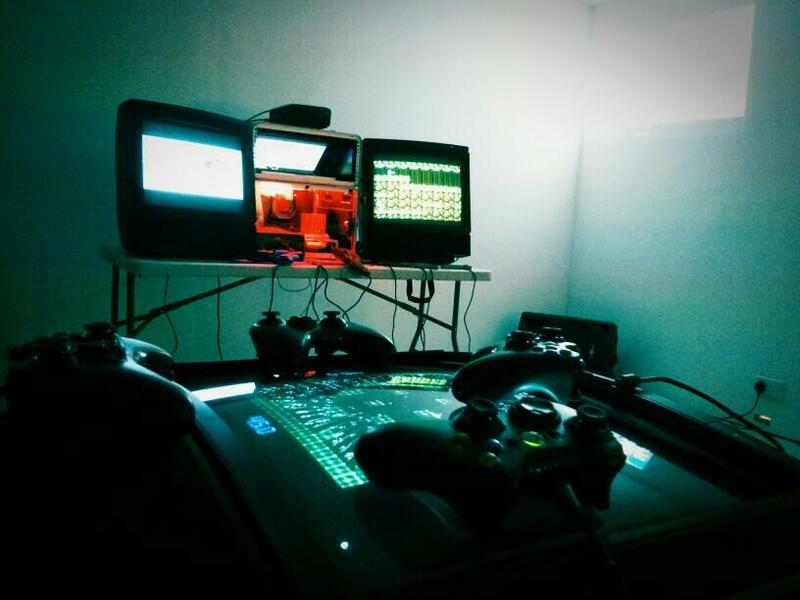 400+ original retro carts, flawlessly presented over 3 generations of classic consoles. 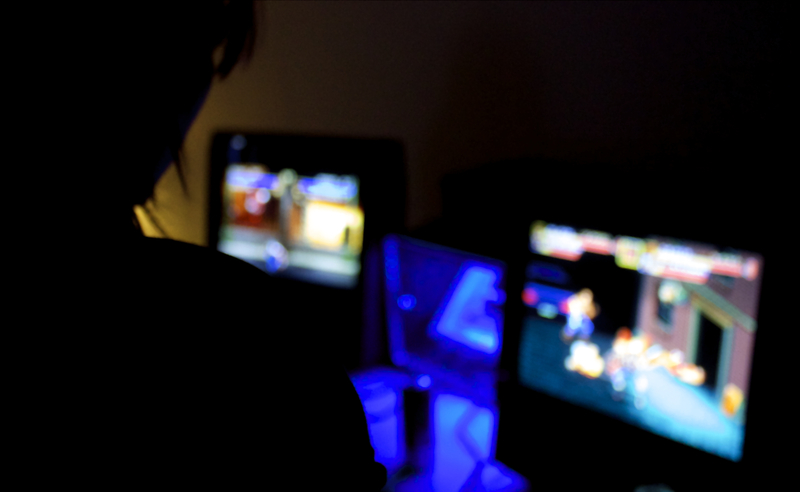 Unreleased indie games from up and coming devs. Gaming inspired DJs and live chiptune acts. Super Warehouse Gaming Events take place on a Saturday, once a month, in Oval Space's "Pickle Factory" warehouse - Bethnal Green. 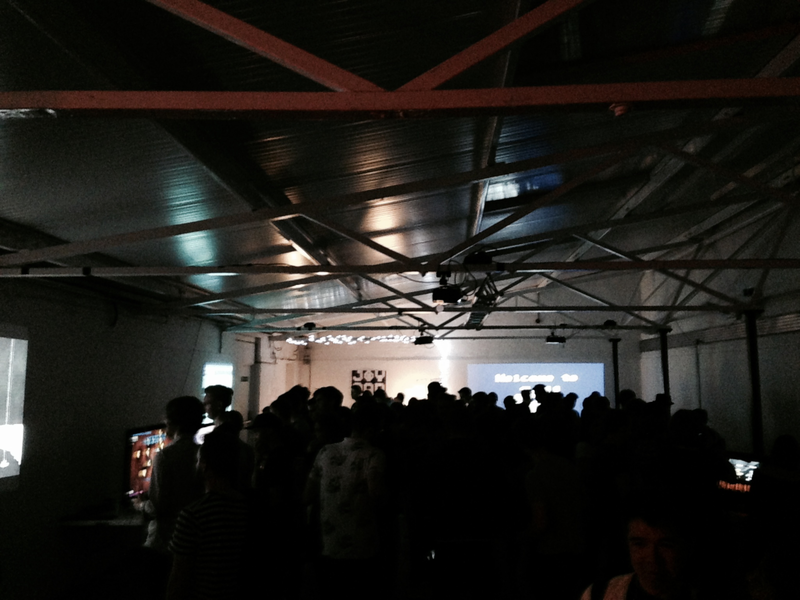 If you are particularly keen eyed you may have noticed that this is the JOYPAD Crew's 3rd event. 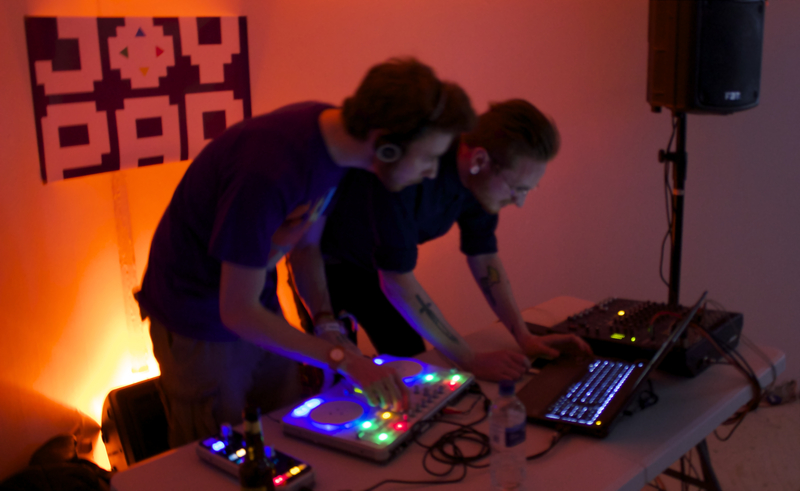 It is particularly special as it marks the start of their residency with Oval Space who will be helping to host and grow Joypad's monthly SUPER WAREHOUSE GAMING PARTY events from here on out! No emulators, no pirated software, no fakery of any kind!